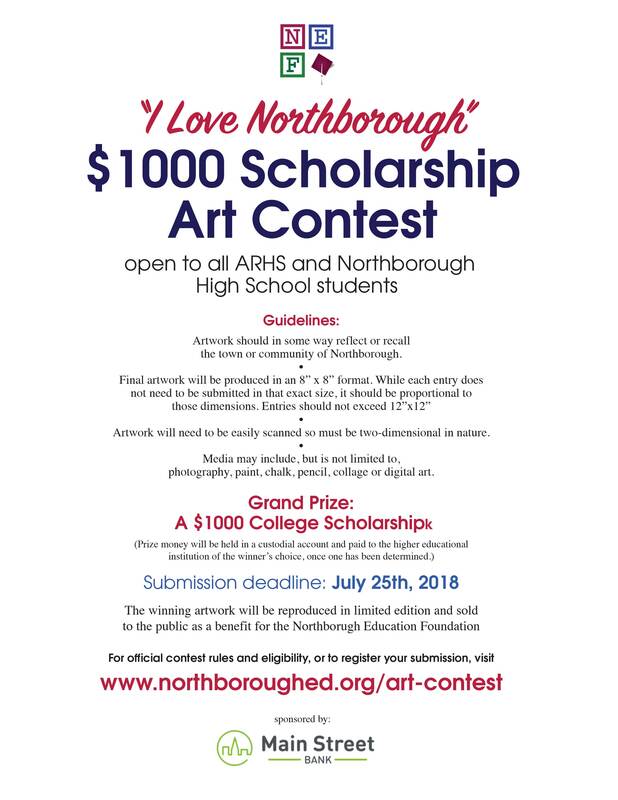 NEF is excited to announce our brand new Scholarship Art Contest for Northborough High Schoolers! Artwork can be any media (must be two-dimensional) and must reflect the town or community of Northborough. Special thanks to Main Street Bank for sponsoring this amazing opportunity.